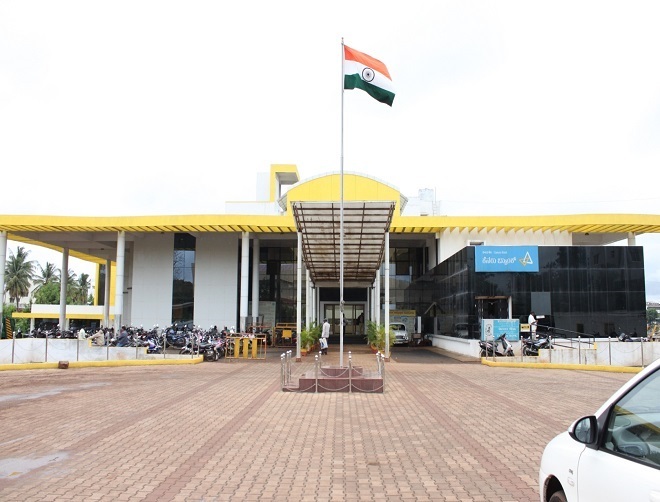 Belgaum City Corporation is the municipal governing body of the city of Belgaum in the India state of Karnataka. The municipal corporation consists of democratically elected members, is headed by a mayor and administers the city's infrastructure and administration. Kamal Basadi (Jain Temple): This temple is of 10th Centuary AD and is under the protection of Archeological Dept. 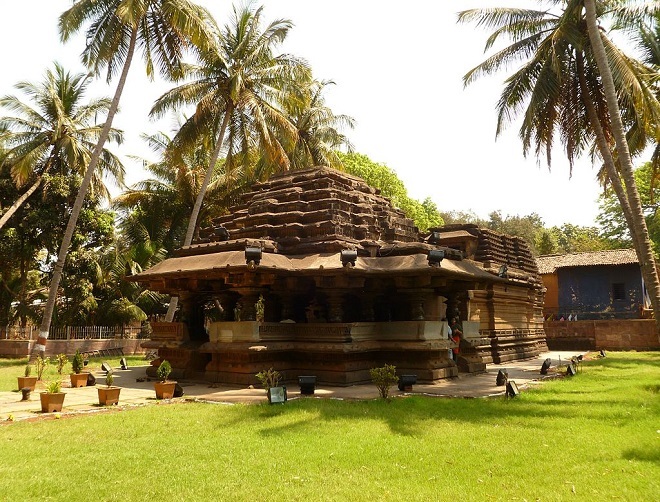 This temple is near the Belgaum Main Bus Stand. The two temples in the fort are known as Kamal Basadi (Mandir) and chikki basadi. Kamal basadi is so called because of the Gumbaj of the temple in the form of the lotus of 72 petals. 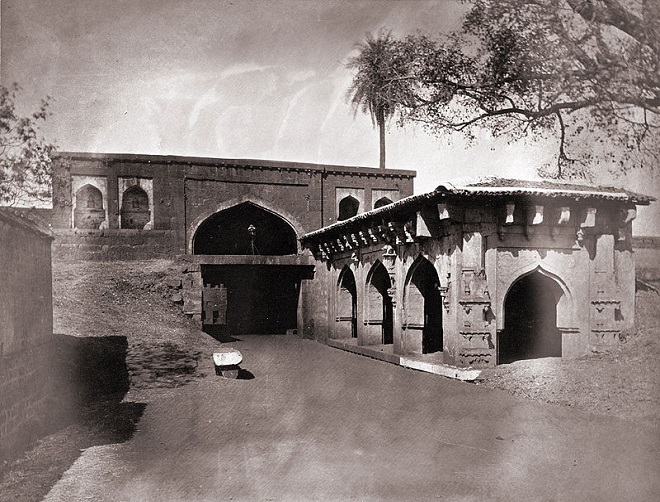 Belagavi Fort or Belgaum Fort, is located in the city of Belagavi, in the Belagavi district, in Karnataka state, India. It was begun by Jaya Raya, also called Bichi Raja, an ally of the Ratta Dynasty, in the year 1204 AD. It has undergone several renovations over the centuries under different dynastic rulers of the region. 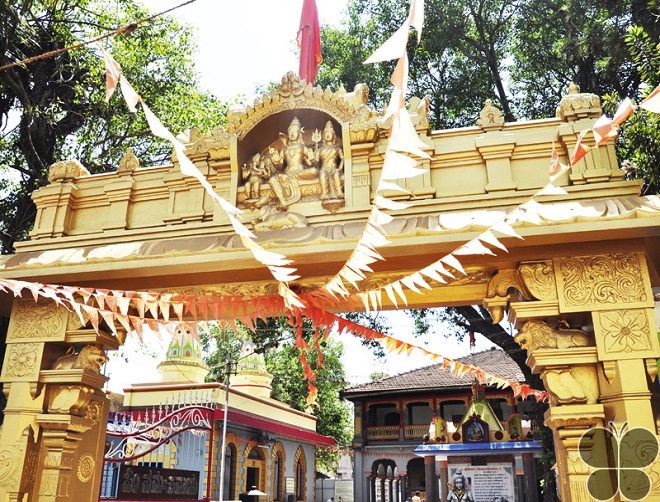 Kapileshwar temple Belagavi, is known as the Kashi of the south. There is an inscription in the Kamal Basti which suggests this temple is one of the oldest in the state and dates back to 1000 AD. 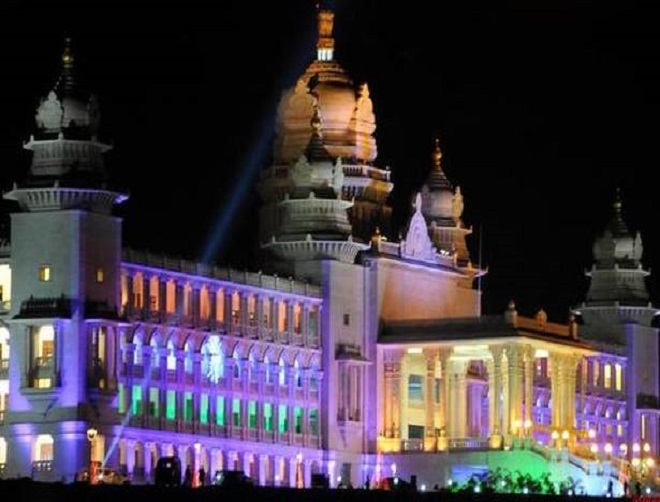 The Suvarna Vidhana Soudha has been so named to commemorate the Golden Jubilee of Karnataka's formation day. The building is a four floored structure with a total built-up area of 60,398 sq.m. and consists of an Assembly hall that seats 300, a Council hall for 100 members, a 450-seat Central Hall, 38 ministerial chambers and 14 meeting halls.The entire complex is located on 127 acres of land that was acquired from farmers in the area.